The Innovation and Impact Symposium focuses on the convergence and interdependence of emerging technologies in advanced mobility, energy and the built environment. Join the region’s leaders from the startup, corporate, public and research communities to examine what it takes to integrate and implement solutions for maximum impact. Smart Cities: The emerging technologies of today will be the foundation for the Smart Cities of tomorrow. It is therefore crucial for cities (as well as other municipalities) to have an open dialogue with the startup, corporate, and research communities to establish working relationships that cultivate and direct the implementation of these “urbantech” solutions. Resulting initiatives such as demonstration projects and public-private partnerships will provide a collective benefit to all parties. ProspectSV is honored to co-host this year’s symposium with the City of San Jose. The symposium will emphasize the important role of smart cities in shaping our sustainable future. 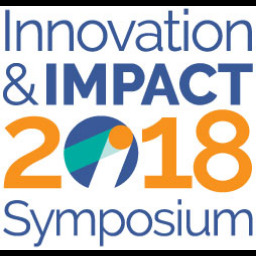 The Innovation and Impact Symposium builds on the history of the Connected and Charged Symposium, which served as Silicon Valley’s premiere forum for connected transportation, mobility and electrification from 2011-2016.